International orders were sent out first this time by Third Man Records for Vault Platinum members. Jack White’s Vault 14 was delivered in time for Christmas. 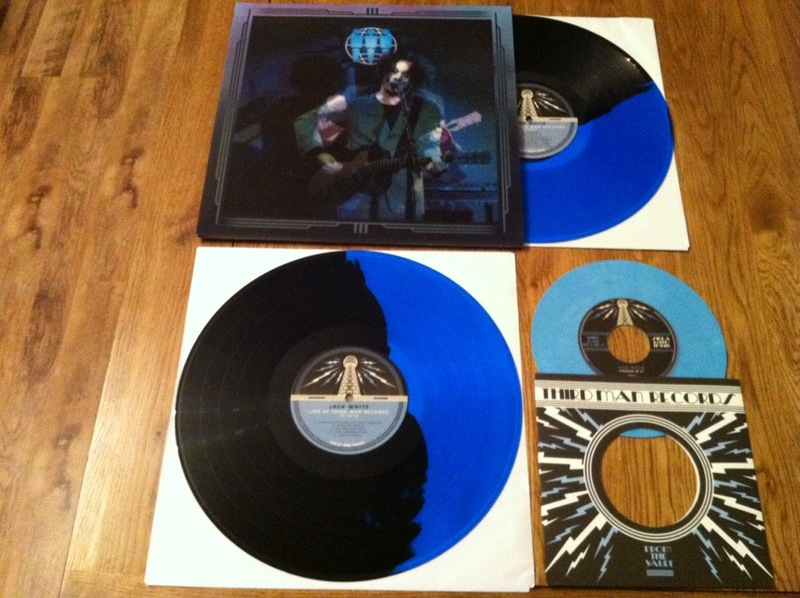 Not only a Blunderbuss Blue 7″ of demos, but also a Double Live LP of Blunderbuss with a Holographic cover by Jack White was also included. 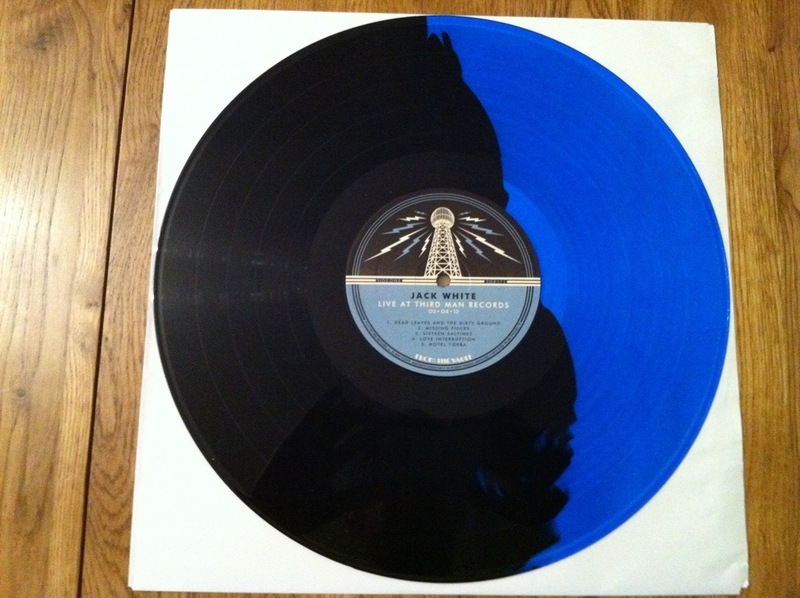 And… The double LP is pressed on amazing Black and Bright Blue Split Vinyl! Here is mine that arrived.